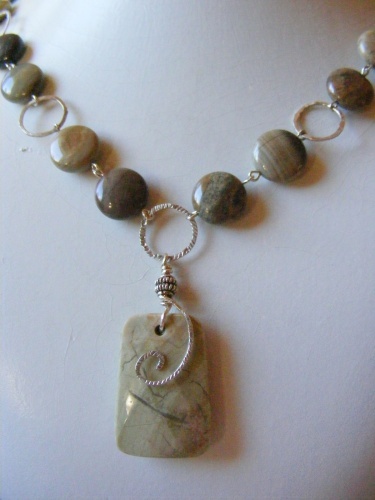 This pretty necklace has a beautiful tan focal jasper stone with a sweet curl on the front of it. The variegated brown stones make the necklace even more elegant. Large sterling silver rings bring out the beauty of the stones and make the necklace look very classy. Measures 22" in length.